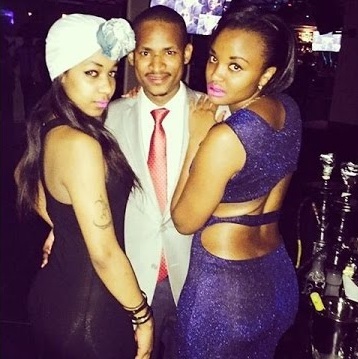 Home / Editor's Choice, Lifestyle / BABU OWINO narrates how a LADY tried to SEXUALLY harass him in a city hotel forcing his bodyguards to intervene. BABU OWINO narrates how a LADY tried to SEXUALLY harass him in a city hotel forcing his bodyguards to intervene. Friday, February 08, 2019 - Embakasi East MP, Babu Owino, has broken his silence over allegations that his bodyguards harassed a woman at a popular city restaurant. The lady took to social media to accuse the youthful MP of watching from a distance as his security detail manhandled her. “Well we just came there and got physically harassed by Babu Owino's guards cos they had taken a table we had reserved. And your waiter apologized to him!! So no I do not believe in your magic,” she tweeted. However, Babu has defended his security detail and accused the lady of being economical with the truth. He went ahead to claim that the lady tried to sexually harass him. "She wanted my number forcefully and was harassing me sexually so my bodyguard had to intervene." "She kept coming to me and asking for a selfie and she was too touchy considering I don't know her. The bodyguards had no option but to intervene," the MP said. On Twitter, where she raised the complaint, the woman claimed that she was harassed after asking the MP's security detail to vacate a reserved table. The restaurant has since issued an apology, adding that it had communicated its displeasure to both parties. A tweet from the restaurant read: "We extend our sincere apologies for the incident that took place at our premises yesterday evening."